SL433-16 SN-CP-JJ-16 HU162T Clamp For Volkswagen Golf 7, Magotan 2018, Lavida 2018, Phaeton etc. 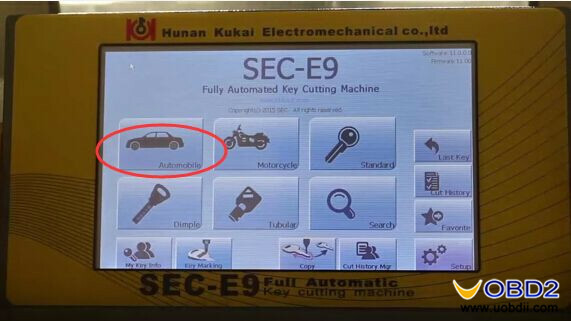 Here UOBDII.COM share the procedures on how to use SEC-E9 Key Machine to cut Ford and Jaguar Keys. 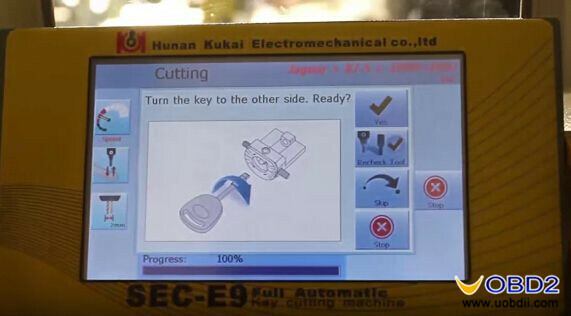 Click “Automobile” button on main menu to start. 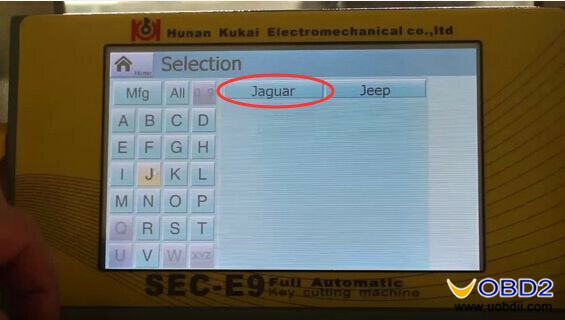 Input “J” to select “Jaguar”. 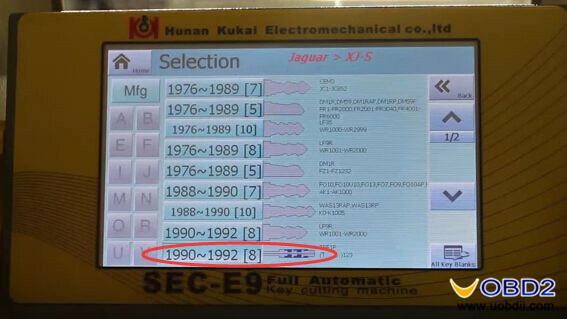 Select car year “1990-1992 ”, the second one. 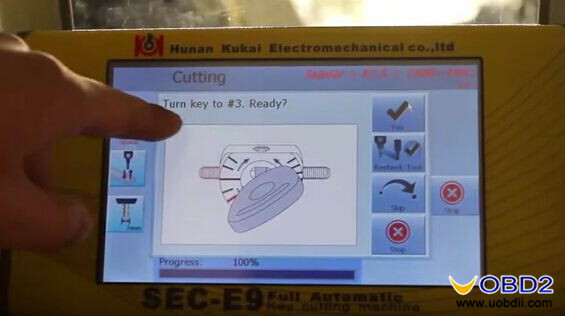 Click “Input” button to enter the key bitting code then click “Cut”. 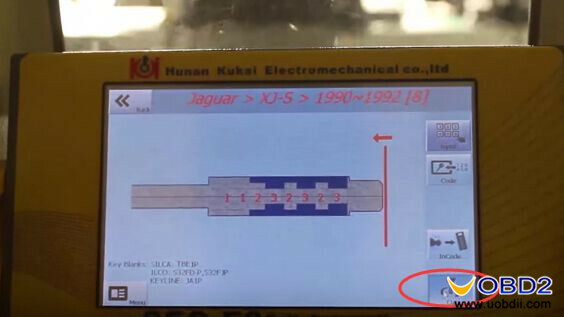 Insert and fix the new Jaguar FO21 key blank into Ford Jaguar Tibbe key clamp. 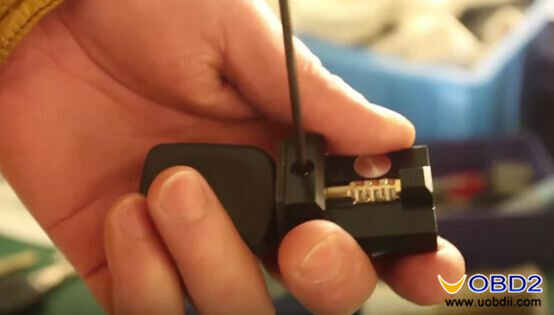 And install the clamp correctly according to the picture. 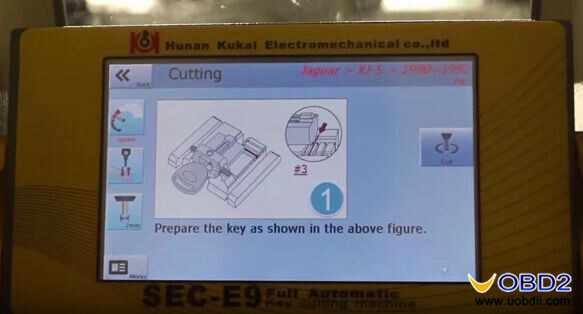 Choose cutting speed than click “Cut” to start key cutting. 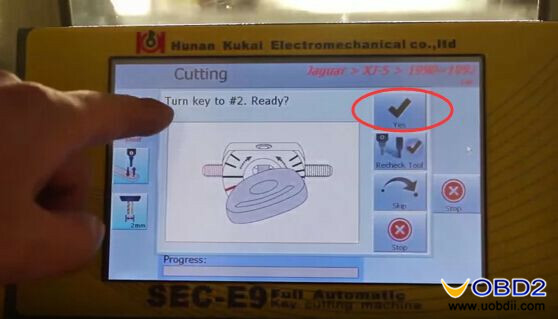 When key blade side #1 cutting is finish, follow the tips to turn key blade side #2 then side #3 to cut. 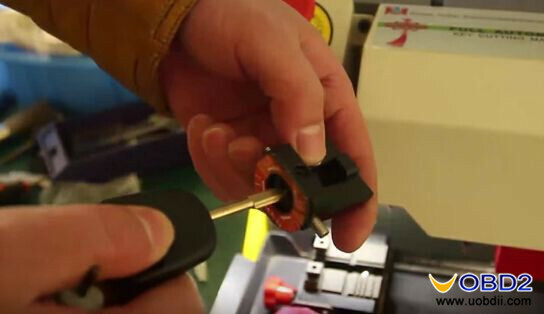 After key blade one side is cut completely, turn the other side to cut. 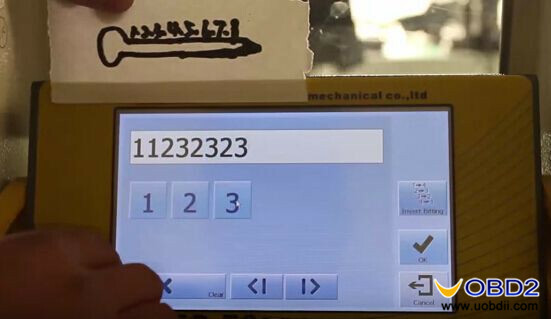 And the procedure is similar as above. 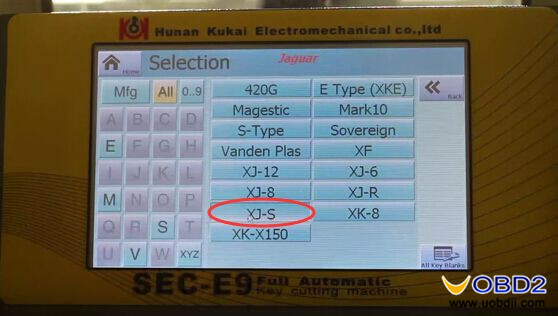 In this way, you can cut a brand-new Jaguar FO21 Tibbe key using this SEC-E9 Automatic Key Cutting Machine instead of expensive Miracle A9!